Something is going on and it is getting bigger and bigger as time goes on. On September 2nd we reported significant changes in the Google search results, it seems Google did an unconfirmed Google algorithmic tweak but they said it was not Penguin. Then Tuesday we reported another shift in chatter which now seems to be escalating over the past 24 hours. But an update it seems to be, if not Penguin, then maybe something related to September 2nd or something else. I am seeing extremely diverse datasets rolling through SERPs. It's affecting our referrals in a big way, depending on what set is dominating. I can make myself see patterns as early as last Wednesday (7th Sept), but it's been clear since Monday (12th) and on steroids today. We generally do not see swings like this unless a chunky general update rolls through - and we have never had any impact either way during the Panda/Penguin updates. Hope this all settles soon. We've seen a sizeable rankings boost across our 1500 tracked keywords in Australia from the 2nd of Sep update. It's been very turbulent ever since. I have noticed that after an initial jump in rankings at the start of this "update" or whatever it is / will be, but I can see that the rankings are drifting back down. I also didn't notice any real traffic gains from the rises in ranking but this may be more due to most reaching the top of page 2 and not hitting page 1. Anyone noticing similar jumps up then drift back down? Pretty sure this is Penguin. If not it has to be something completely new. This can't just be a "core" update. I guess we just gotta wait for the official announcement, which should be coming soon since it seems to be rolling out in the US now. Complete BS.. rankings are just constantly going up & down. NEVER seen this before..
@rustybrick I have to agree with poster that said "either Penguin or something entirely new," bc no other algo drops -90 except link algos. @vladrpt has been posting a ton of this on Twitter as well. The comments on Tuesdays post here and the September 2nd posts here are close to 400 comments together. So this is a hot topic. So what is it? 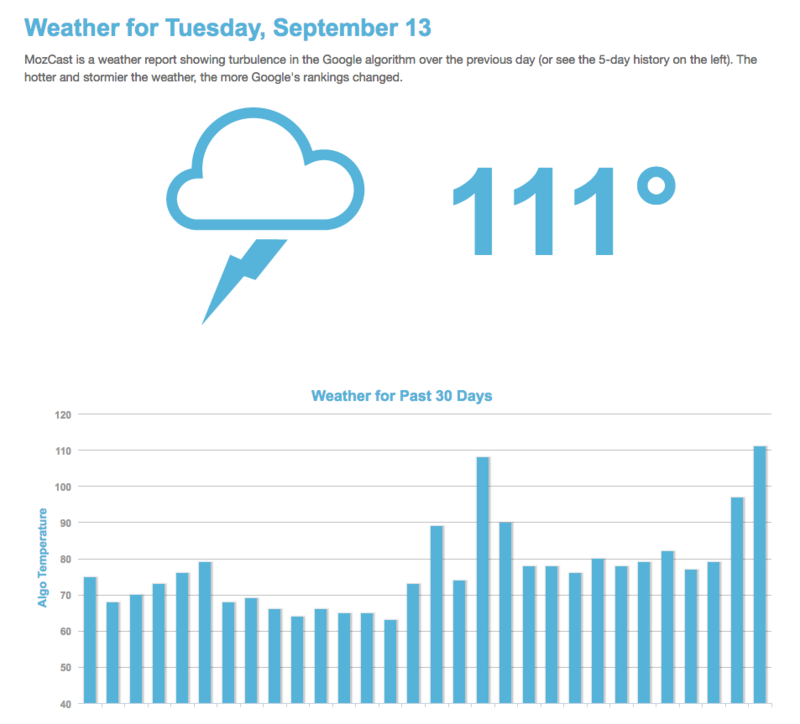 Maybe Google is testing Penguin but I believe this is just tweaks to September 2nd's update. Forum discussion at Twitter Black Hat World and WebmasterWorld.